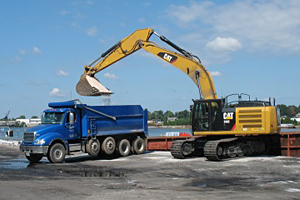 These trucks haul asphalt, stone, dirt, wet batch concrete, etc. to and from constructions sites. 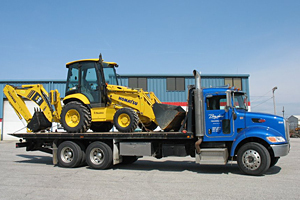 These trucks have the capability of transporting dozers, large excavators, wheel loaders and all types of machinery up to 160,000 lbs. gross. All company permitting and escorting provided. steer loaders, dozers, mini excavators and backhoes. Whether your load is 1,000 lbs. or 100,000 lbs., Bagshaw Trucking is committed to excellence and safety in all your transportation needs.